Travelling with a romantic partner is always an exciting and awesome idea, especially when it is the first time. Not only do you get the chance to make treasured romantic memories such as trying a local delicacy and getting sick together afterwards, you get to learn new things about the destination and bonding over new experiences. But the truth is, there is a chance the romantic getaway or vacation could go awry if it is not planned or coordinated carefully. From the stress or the travel to little arguments, and differing opinions on hygiene, packing, the problems of travel angst could wreak havoc on your relationship. 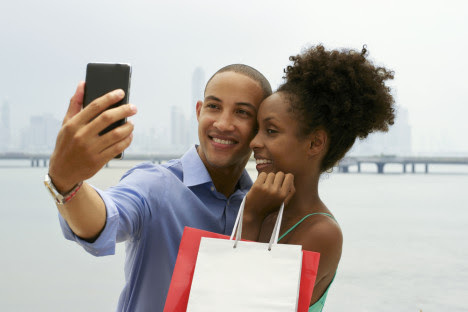 To help you avoid any kind of angst, Jumia Travel has put together a couple of simple tips to follow to make that first trip with your beau or lady love a great one. Ensure you pack together and you maximize the space and luggage limit available to you. One partner should not try to hug up all the space; instead, both parties should try to be equal, and sensible, about packing. Sharing packing space not only makes it easy for you to collaborate better with your partner, it also keeps you both aware of all possessions and it is easy to keep track in case something goes missing. The usual thing for Nigerian couples on a trip is that the man pays for almost everything on the trip. However, while he may not complain at first, it may cause some form of strain on the course of the trip. Have a conversation about budgets before you go, and adjust it if things are different once you're there. And if you are not in a relationship where one of you is earning way more and it really does not make sense for the other to pitch in, the lower earning partner should remember to be both kind and restrained. This is really important as despite the fact you are a couple and you are in love, you are still separate individuals and you have different strengths and weaknesses. You and your partner should agree on who is better in doing what and can take responsibility for the respective part of the trip. For instance, If one person has an unerring knack for researching great discounts let them handle it. Basically, maximize your assets. Before you visit any destination, you will probably come across recommendation for first time visitors, including places best suited for romantic partners. While these spots may seem great, chances are they are expensive and overhyped, and you most likely will be filled with disappointment after you visit them. In order not to fall for any of these tourist traps, try to make your own romantic moments with some local recommendations instead. It will offer a more real and authentic experience. The fact that you are on a trip together does not mean you have to be around each other 24/7. No matter how much you love each other, being around each other every minute is bound to be a strain at some point. You need avoid getting tired of one by slotting in times where you get to chill out all by your lonesome.